Established in the year 2161, the United Federation of Planets is an interstellar alliance of over 200 planetary governments spread across 10,000 light years. Starfleet is the Federation's agency responsible for all deep space exploration, scientific research, and military service. 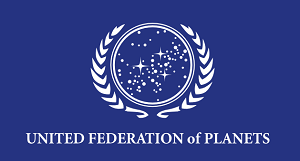 Located in the Orion Arm of the Milky Way Galaxy, the United Federation of Planets was founded in 2161 as a natural progression of the Coalition of Planets - an alliance created by the Andorians, Humans, Tellarites, and Vulcans to defend the galaxy against the Romulan Star Empire. The Federation established Starfleet shortly after its development to focus on the exploration and defense of the galaxy. Rather than be subjugated by other empires many planets chose to join the Federation due to its cooperative stance and a golden age of discovery was born. This, however, brought it into conflict with neighboring powers who saw the Federation as encroaching upon their rights and territory. Chief among the Federation's earliest detractors were the members of the Klingon Empire. While knowledge of the Klingon Empire was widespread the Klingons had been scattered and quiet for almost a century after the Federation was founded. In 2255 the Federation and the Klingons were in an open state of conflict and these two groups came close to open conflict multiple times until the Organians intervened in the year 2267 and forced the two groups to enter into a peace treaty. Around the same time the Romulan Star Empire - quiet following the Treaty of Cheron in 2161 - reemerged into galactic politics as a major player. Complicating the Federation's efforts was a brief Klingon/Romulan alliance that involved the exchange of technology amongst the two groups. Around the same period the Federation encountered multiple major governments and expanded their influence amongst multiple minor powers. The Federation continued to grow apace as a second golden age of discovery emerged. The relationship between the Federation and the Klingons cooled over the last half of the 23rd Century and a new peace was cemented with the signing of the Khitomer Accords in 2293. An age of hostility was quickly ended between the two major powers dominating the Quadrant. The early 24th Century was known for the Tomed Incident which resulted in the Treaty of Algeron which led to the Federation dismissing the development of cloaking technology and the Romulan Empire retreating behind its borders. Relations with the Klingons soured over time and the risk of war was growing in the 2340s. All of that changed when the Starship Enterprise was lost defending the Klingon Outpost at Narrendra from a Romulan fleet. This secured the Federation/Klingon Alliance. 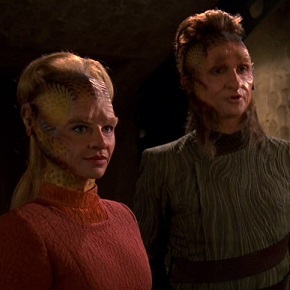 At the same time the Federation's relationship with the Cardassian Union descended into war and several other border skirmishes between the Federation and races including the Talarians, Tholians, and the Tzenkethi. Despite this minor conflicts the Federation continued to develop and expand its sphere of influence. Federation development, however, was not prepared for the emergence of the Borg threat and the Dominion. Conflicts with these groups nearly cost the Federation its very soul after a protracted war with the Dominion; however, the Federation stood close to its ideals and continued to pursue peaceful exploration of the galaxy. In the latter years of the 24th Century the Federation was rocked by the Hobus Event and the fallout of the failure of the Vulcans to act to help the Romulans. The Federation offered support to the Romulans during this period as their Empire struggled to survive the destruction of their homeworld and nearly 75% of the Romulan fleet. This damaged the Federation's relationship with the Klingon Empire which was further damaged by the influence of the Undine and the Klingon's efforts to expand against the Gorn. The Klingons would eventually invade the Archanis Sector of Federation Space which led to a five year war between the two powers in the early 25th Century. Further, the Federation was heavily criticized for its efforts to rebuild the Cardassian Union following the Dominion War. In 2420 the growing threat of the Supremacy did much to stabilize the peace in the galaxy and led to the creation of the Federation Alliance; however, the stability of this new alliance has recently been called into question. Complicating matters the Federation's relationship with the Romulan Star Empire was significantly harmed when the Federation supported the establishment of the Romulan Republic and provided support to its development. 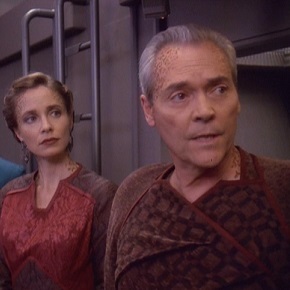 In 2426 the Federation was rocked to its very core with the Confederacy of Vulcan chose to secede from the Federation to join the Romulan Empire and a devastating terrorist attack destroyed the Vulcanis Lunar Colony (the only Vulcan world which chose to remain loyal to the Federation). 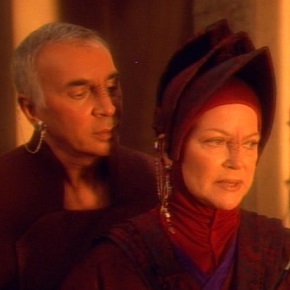 Further, with the emergence of Governor Krenek, Son of Kol as Chancellor of the Klingon Empire the relationship between the two has taken a significant turn once more. Despite this, the Federation is focused on peaceful coexistence with neighboring powers and it is a highly idealistic government focused on universal liberty, rights, and equality. The Federation has successfully negotiated treaties with each major power within the galaxy and does not attempt to expand its sphere of influence by force. Additionally, the Federation has focused itself on the advancement of the citizens of its worlds, as such the Federation is a government that lacks an official currency nor drive for wealth. The Federation Government is a representative republic that is fundamentally derived from the Articles of the Federation - the document from which the rights of Federation Citizens are collected. These documents give way to the three branches of the Federation government and detail the requirements of each of these functions. 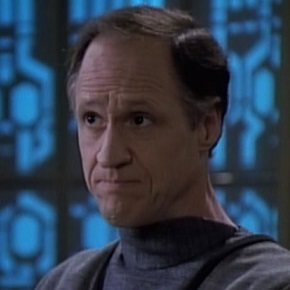 The Federation President is democratically elected to serve as the leader of the Federation Executive and the duties of this role include oversight of domestic and foreign policy, participation in the Federation Cabinet, and control of Starfleet. This branch is headquartered in Paris, France on Earth. The Federation Judiciary maintains power over the courts of the Federation and can be a driving force in interpretation of law. The Legislative body of the Federation is the Federation Council. A unicameral body, the Council is comprised of one Federation Councillor from every Federation Member State and is located in San Francisco on Earth. Officials of this body have the power to create, modify, and repeal law within the Federation's territory. Subcouncils were established focusing on Foreign Affairs, Intelligence, Science, Security, and Technology. Controlled by the Federation Charter, it was agreed upon that the worlds of the Federation would join of their own volition with each race being considered equal to all others. Planets applying for membership within the Federation must be governed by a unified planetary government, possess advanced technology (having surpassed the Warp threshold at minimum), and follow strict nondiscriminatory policies toward its citizens. When chosen and approved for membership a delegate will be elected from the local populace to serve as that governments representative on the Federation Council on Earth. 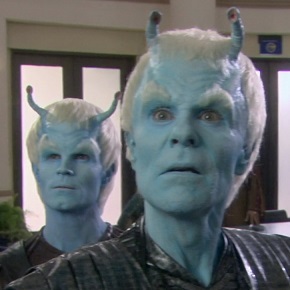 Andorian Coming from the frozen moon of Andoria, the Andorians are a humanoid species with antennae on the tops of their heads, blue skin, and light hair. They are a militaristic species with a strong sense of honor and duty who are acutely aware of their surroundings. 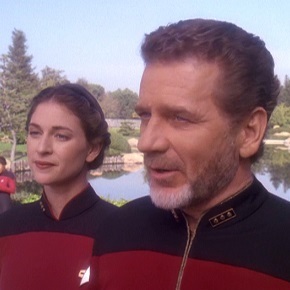 Bajoran Originating from Bajor, the Bajorans are a deeply spiritual people who closely resemble Humans except for a series of ridges on their noses. 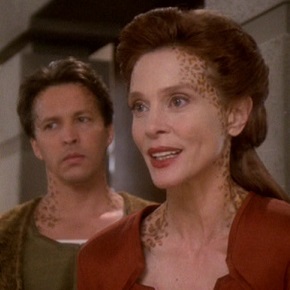 Highly creative and dedicated to their race, Bajorans normally have their family name precede their given name. Betazoid From Betazed, the Betazoids are a highly telepathic species who value openness and honesty. Betazoids have few differences from other humanoid species except for an additional lobe in their brains and black irises on their eyes. Bolian The friendly and outgoing residents of Bolarus IX, the Bolians are a jovial race who have a strong dedication to teamwork. 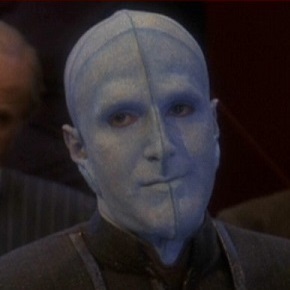 They have a toxic physiology, blue skin, a vertical ridge running down their face and no hair. 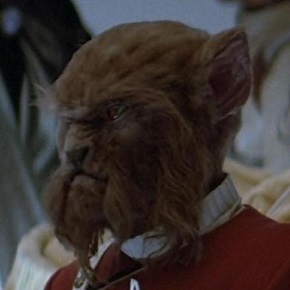 Caitian Coming from the colony world of Cait, Caitians are a bipedal feline species with enhanced vision, a coat of fur in varying colors, and tails. The species are known of their intelligence, curiosity, loyalty and love of beauty. Human Hailing from Earth, Humans are a humanoid species with a wide assortment of physical features. Highly adaptable, Humans are team players who work constantly to better themselves and the rest of their species. 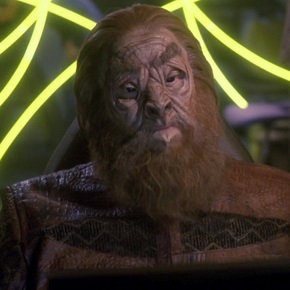 Rigelian Very similar to Romulans and Vulcans, Rigelians share a similar neurology and physiology to their cousins. Residing on Rigel V, they believe their lives are a constant spiritual journey. 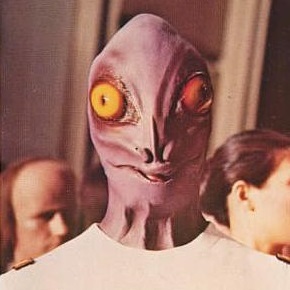 Saurian A reptilian race from the planet Sauria, Saurians are distinctive for their varied skin colors and large eyes. This species is just as well known for their enhanced strength and intelligence. 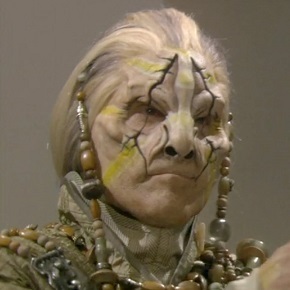 Talaxian Residing on the colony world of New Talax, the Talaxians are a humanoid species native to the Delta Quadrant. This race is well known for their storytelling, friendly attitude, and love of food. Tellarite From the planet Tellar, the Tellarite species are a porcine, stocky humanoid race with a snout, hoof-like extremities, and a stubborn disposition. Natural engineers, Tellarites are just as well known for their argumentative personalities. Trill Coming from the world of Trill, the Trill are a humanoid race with a line of spots that run along the length of their bodies. Trill are well known in the galaxy for their ability to host an alien symbiont and their intelligence. Trill (Joined) Coming from the world of Trill, the Joined Trill are a humanoid race indistringuishable from their fellow Trill. They are different in that they have been bonded with a Symbiont - a lifeform that contains the collected knowledge and skills of all its former hosts. Vulcan Natives of the New Vulcan Colony, a group of Vulcans chose to remain Federation members during the period of reunification rather than join the Romulan Star Empire. 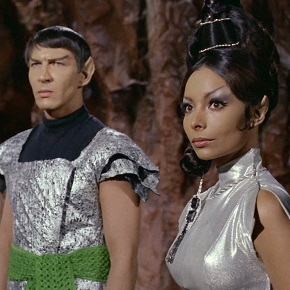 Vulcans are distinctive throughout the galaxy for their pointed ears, superior strength compared to other humanoids, and strict adherence to logic. For more information please see Starfleet. Starfleet is the military and exploratory arm of the United Federation of Planets.